Wholesale swimming nappies are one of those 'must stock' items - especially if your shop is near a leisure centre! Wholesale swimming nappies are specially designed to ensure there aren't any embarassing mishaps in the pool, whilst keeping babies as comfortable as possible. Browse our great range now! 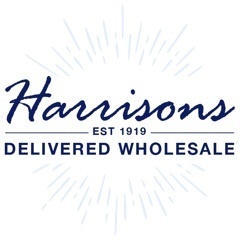 Here at Harrisons Direct we stock a range of wholesale Swimming Nappies perfect for all your customers who are heading abroad with their little nippers and want to enjoy all the fun of the pool. 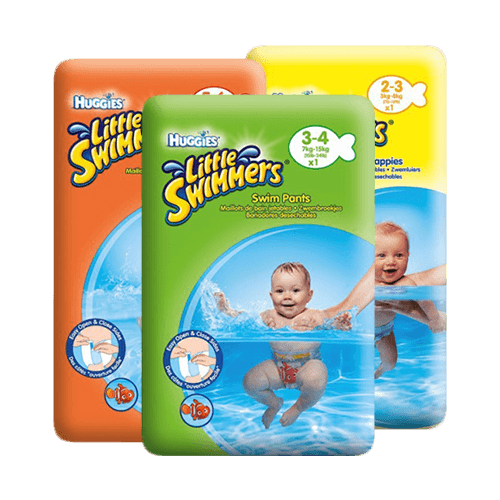 As a leading wholesale supplier we stock the UK’s favourite swim pants, Huggies Little Swimmers. Available for ages 2-3, 3-4 and 5-6 Huggies Little Swimmers have been specifically designed to ensure there are no embarrassing leaks in the pool. Unlike other disposable nappies our selection of wholesale swimming nappies don’t swell on contact with water, which means little ones can have a great time splashing around without being limited to certain movements. Our selection of wholesale swimming nappies are made from unique absorbent materials, have stretchy side panels for boosted freedom of movement a cleverly designed leak guard and all Little Swimmers are designed with bright and engaging Disney themed graphics for added fun! As a leading supplier of wholesale swimming nappies we offer exceptional customer care along with an unrivaled delivery service. We’ve recently launched Harrison’s Rewards scheme, our way of saying a huge thank you for shopping with us. If you require more information on our selection of wholesale swimming nappies then don’t hesitate to get in touch. Call our exceptional customer care team on 01254 306840 for expert advice and guidance.